Please excuse the radio silence on the blog this week, I’ve been busy packing up my life, loading it on a van and unpacking in my beautiful new home! Moving home is the best and the worst, it’s so exciting but the most tiring few days ever. I don’t know why my whole body still aches, especially as there were so many boys aiding the move. But the hard graft is all done now and I can enjoy my peaceful haven. After living in Camden, Oxford Circus and Shepherd’s Bush over the last few of years, I decided I wanted a little more space and a lot more peace so I found a beautiful period conversion out in leafy zone 2 with super high ceilings, big sash windows and tons of light to call home. Home being the operative word; without going into too many details the last few months have been pretty turbulent on the living front so I’m really looking forward to nesting and being settled in a proper homely home. The best part of that process is shopping for new homewares. As a renter, flats that I’ve lived in have always been painted white/cream and looked really dull, but I always see it as an opportunity to inject a little personality and of course, shop for pretty things. Here are my top purchases for making your home super cosy in no time. Bedding Nothing feels as good as getting into freshly washed sheets, one of life’s simplest pleasures. Bedding has to look good too, of course. I prefer my sheets with colour and/or pattern, it’s the easiest way to add a splash of personality when renting, as landlords usually play it safe with white/cream/beige paints. I absolutely love Matthew Williamson’s homeware collection for Debenhams, which often features butterflies or Eastern influences. This bold duvet set features a Japanese chinoise design, all you need to add are a few cosy cushions in neutral shades and maybe a cream throw. 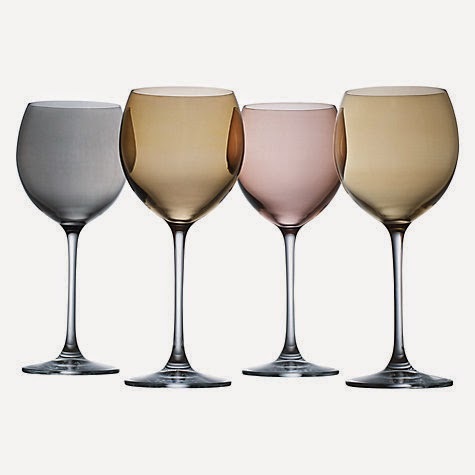 Wine glasses Wine glasses (and the accompanying wine) are very, very important for your home. I’ve only just moved but my diary is already full of dates when people are popping over for wine and cheese. Renowned for their handmade glass and porcelain, I am obsessed with LSA International wine glasses. The shapes are so beautiful and the glass is really thin and delicate, proper wine glasses – there’s nothing I hate more than sipping wine from a really thick glass. I love the pastel shades of these glasses, really striking. Lanterns/candle holders I love candles, so much so that I packed an entire box of candles, candle holders, lanterns and other candle paraphanalia. My bedroom is always littered with candles, after a long day in front of a computer at work and in front of my Microsoft Surface at home when I’m blogging, my eyes always need a rest so I light some candles and relax with a good book. Oh and they’re hella romantic. My living room has a beautiful original marble fireplace which is just begging to be covered in candles. 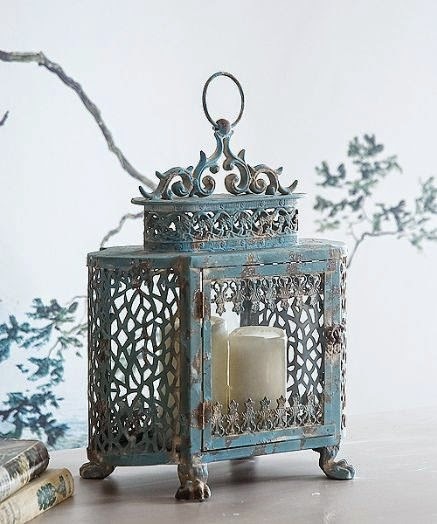 This French lantern from An Angel At My Table is perfect for filling with Ikea’s scented candles and cosying up on the sofa. Mirrors Sometimes rented flats, especially in London, can be a little small or dull. I’ve lived in more than my fair share of flats which were well overdue a lick of paint, the easiest way to brightening them up is with mirrors. Placing mirrors in the right spaces helps light reflect across the room really opening it up and making it look a lot bigger and brighter than it is. I’ve amassed quite a collection over time, including a group of beautifully ornate ones from Morocco but I need this carriage mirror fromGraham & Green in my life. The added shelf detail means it’s super practical too. Throws Like candles, throws are an inexpensive way to make your home super cosy. I always have a throw for my bedroom – perfect for daytime naps at the weekend when a duvet is a bit much – and I usually have another throw in the living room for cosying up on the sofa. 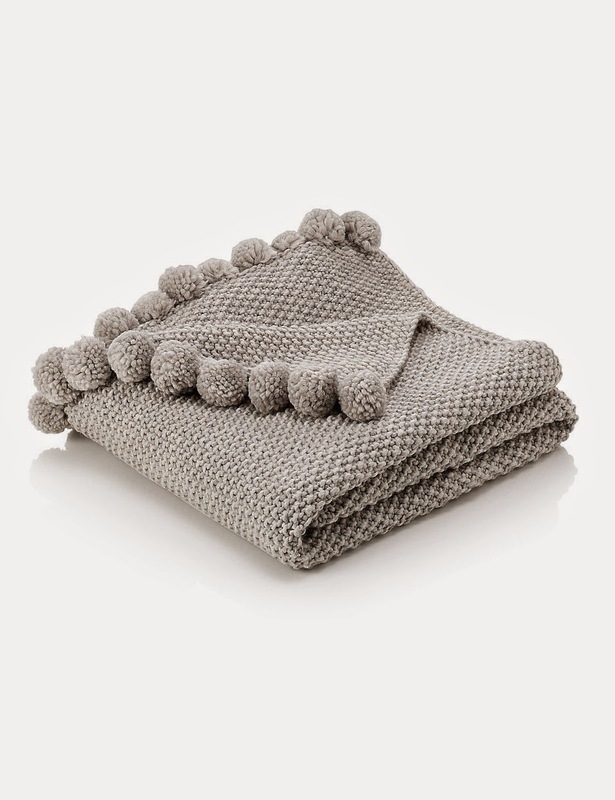 This thick knitted throw from M&S has cute pom pom detailing is perfect for snuggling on the sofa on chilly autumn evenings. The only thing is, I’m not sharing mine so if you’re coming over for wine, bring your own throw! Rug As well as being essential for making a room look instantly more homely, rugs are a renter’s friend for their sound absorbing ability. I always get really worried my phone calls/singing/endless Scandal episodes are too loud and will annoy my neighbours, which is why I like cushions, throws and rugs for cosiness and absorbing all of that noise. Likewise, if your floors aren’t well insulated and you can head every cough or sneeze from your downstairs neighbour, lay down some rugs for a little sound insulation. As a blogger, a sheepskin rug is de rigeur for those composite still life shots. I love this one from The White Company.